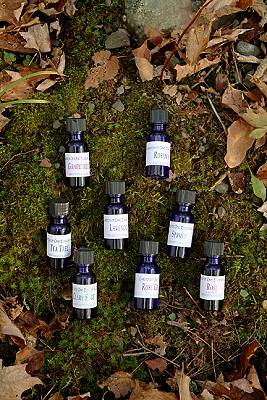 Respiratory Relief is a blend of 6 essential oil for the sinuses and upper respiratory system. Used to open up and relax the lungs and relieve sinus congestion. Put it on your feet to stop coughing, particularly at night. Very effective when used in a neti pot for sinus infections, great for inhalation. Before I purchased the Respiratory Relief from Garden of One, I was seeing an Ear Nose and Throat Doctor and an Allergist for sinus issues. Performing (another) surgery was brought up because of my chronic issues. I adjusted some things and wanted to go the natural route to healing. One thing that helped me was this wonderful oil. I sprinkle drops on my pillow before bed at night and I can feel the difference! Because of this product and some other alterations in my life, surgery is no longer in my future. Thank you, Rachel, for the wonderful products you provide.